In honor of National Library Week, we would like to honor our amazing librarian, Mrs. Kris Burd. She is constantly pushing TMS to be the best it can be, and her library at TMS is no exception. Under Mrs. Burd’s supervision, the TMS library is always packed with the latest resources for teachers and students and is always overflowing with adventures. Mrs. Burd works tirelessly to create an atmosphere that is comfortable, productive, and conducive to learning. Despite state cutbacks, she maintained her state of the art library by doing numerous fundraising activities. Mrs. Burd’s strong influence at TMS is not limited to the confines of her library walls. Mrs. Burd’s leadership and deep commitment to TMS impacts every part of the school she touches. Mrs. Burd has been at the forefront leading Tomlinson’s technology advancement, creating a one-to-one technology initiative. 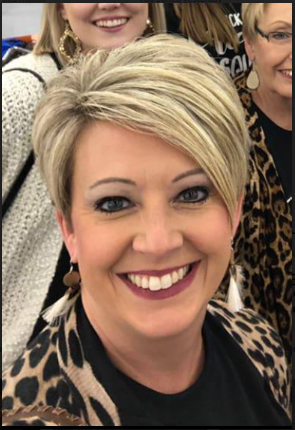 She stays current and leads the school in the latest educational technology research, while supporting the TMS staff by bringing in personnel and national speakers to enhance TMS instruction in the classroom setting. Mrs. Burd is truly an asset to her co-workers and the students of TMS.